I was at London Zoo some time ago when I made a surprising discovery. It involved the humblest part of some pig-like creature’s anatomy, and had I not glanced downwards when rushing past on my way to the TIGERS (more on my love of tigers in posts to come) I might never have discovered it at all. 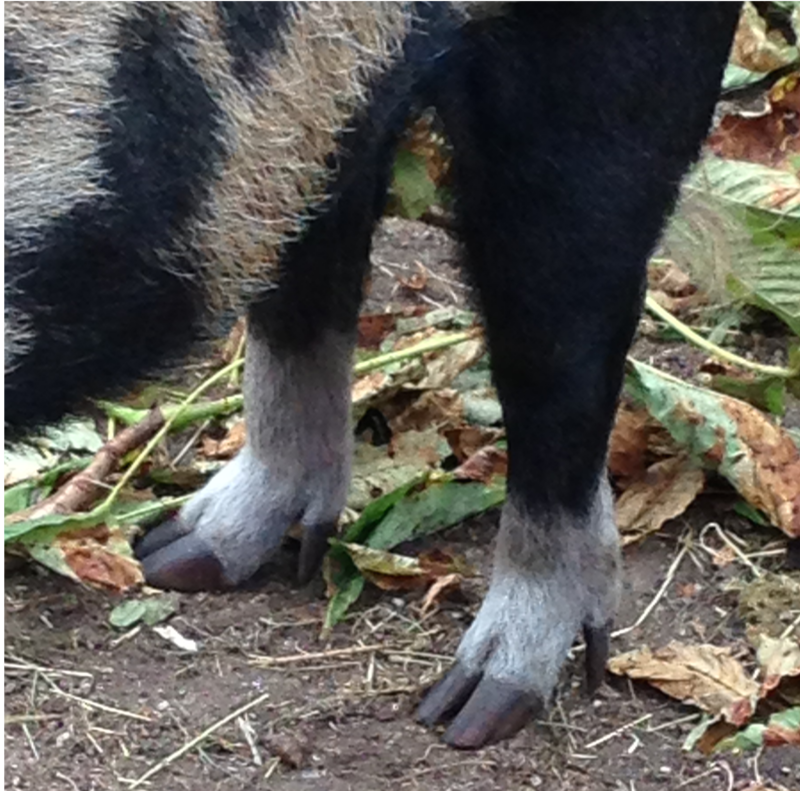 Pigs look remarkably like they are wearing heels. A quick google of ‘do heels come from trotters’ reveals little besides an apparently well known shoe brand (oh dear, my super quirky blog name might not be so clever after all). An alternatively worded further search for ‘do heels come from pigs’ feet’ gives me a list of rather unkind comments on Kim Kardashian’s well documented pregnancy water retention. Poor Kim. Those days are long gone though, loving her peroxide lob. Far be it from me to claim absolute originality over such a seemingly obvious observation; I’m sure the comparison must have been remarked on abundantly. Maybe one day I will found my theories in fact – earlier, more hopeful days did carry with them dreams of archival research, dusty tomes and astonishing bookshelf discoveries. But to be totally honest I think that for now my beautiful and ever-so-professional-not-at-all-amateur-looking cover art speaks for itself. And that humanity’s inspiration for its most uncomfortable mode of footwear lies in the humble pig’s hoof, I think is rather fabulous. Thank you to my bestie Lorenzo Anzilutti for the original artwork inspired by Kimmie’s feet.